Sure, state DOTs typically err on the side of roadways, but now Massachusetts may start plowing the sidewalks! Photo: NYS.gov. It’s one small step for Massachusetts, but one giant leap for pedestrians. The Bay State’s historically car-focused Department of Transportation will “encourage and facilitate safe pedestrian travel” with new street designs that favor walkers — and, perhaps most important, finally plowing the damn sidewalk after snowstorms! 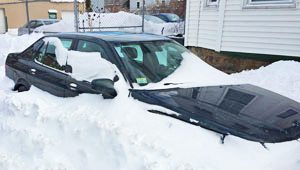 The city of Somerville may get some help from the state to solve this seasonal problem. Photo: City of Somerville. No small matter: the plan also proposes making the state DOT responsible for clearing snow from sidewalks under its control — which is quite a promise in a state that spent $154 million in 2015 to clear snow from roadways, but mostly left pedestrians to fend for themselves. The plan also calls for “new guidelines” to maintain pedestrian access during construction projects and thousands of more curb ramps for those in wheelchairs. Also, the state will do a better job of tracking pedestrians so that they are no longer undercounted in transportation analyses. States often divert more resources towards drivers because their cars are easier to track, but the Massachusetts plan calls for new automatic counters at some key biking and walking locations around the state. With better numbers, localities can make a stronger case for pedestrian infrastructure investments. 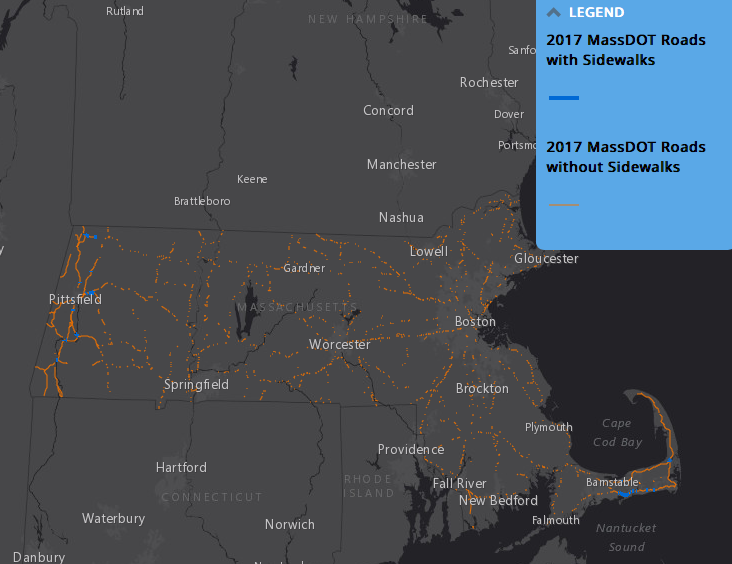 This map shows an inventory of MassDOT roads that lack sidewalks. It’s unclear how much of Pollack’s $1.9-billion annual budget will be set aside for such improvements, but Massachusetts has already made a significant investment in pedestrian infrastructure, creating a $1 billion fund to reimburse cities and towns that do projects with multi-modal elements between 2019 and 2023. The draft plan is open for public comments through Oct. 17. Stellar news for MA! Everyone in northern cities should send this article to their mayors, legislators & governors. NCDOT's plan offers nothing for pedestrians and cyclists, say city officials. And that's not good enough.